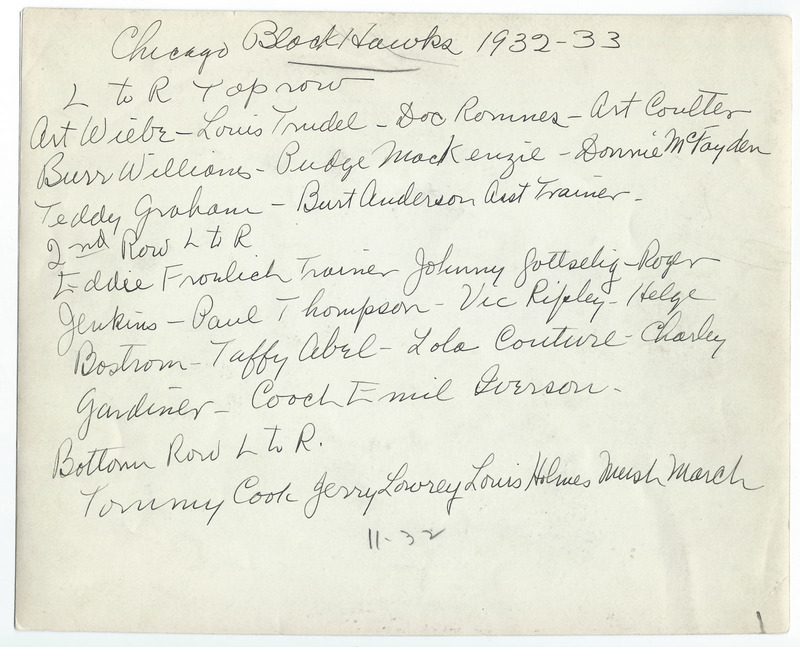 Notation of November, 1932 on back. This team photo is a perfect snapshot of the Chicago Black Hawks development of young talent from this era who were about to embark on their NHL careers. This mixed with the veteran presence of players whose careers were near a close such as Clarence Taffy Abel, Helge Bostrom and Lou Holmes. Eddie Frowich Trainer, Johnny Gottselig, Roger Jenkins, Paul Thompson, Vic Ripley, Helge Bostrom, Taffy Abel, Lola Courture, Charley Gardiner, Coach Emil Iverson. Tommy Cook, Jerry Lowrey, Louis Holmes, Mush March. Photo is in excellent condition with only a slight wrinkle at the bottom edge. 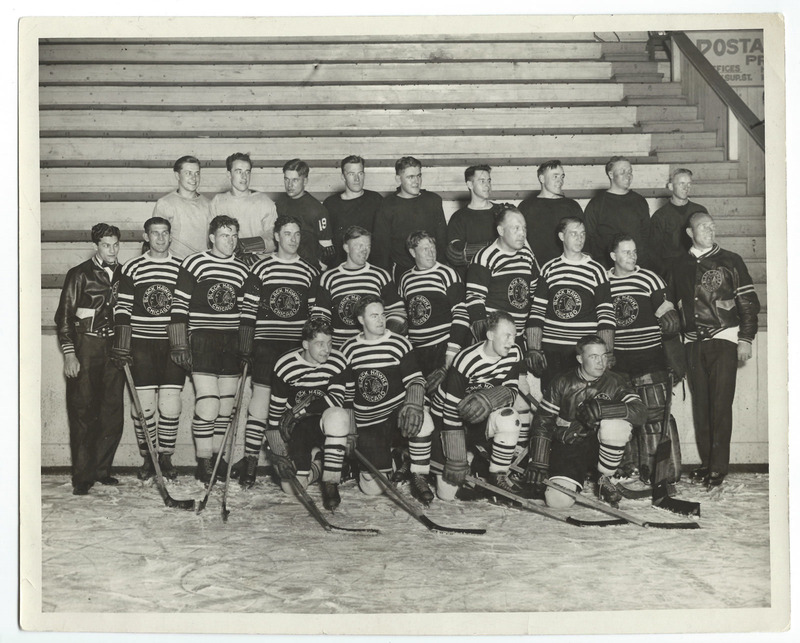 The players names are written on the back of the photo.